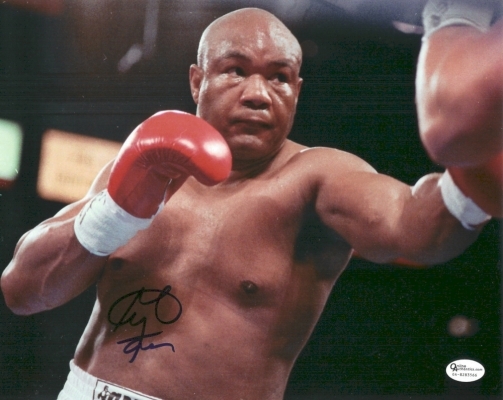 George Foreman has personally hand signed this 8x10 Photo with a Blue sharpie pen. This item comes with a numbered Online Authentics.com authenticity sticker on the autographed photo, which you can verify online once you purchase it at Online Authentics.com, which is one of the top third party authenticators in the memorabilia industry. This item also comes with a REAL DEAL Memorabilia Certificate of Authenticity (COA). Get The REAL DEAL.